The Elections Department said Postal voting applications are now being accepted for the Presidential election which is to be held on the 8th January. Additional elections commissioner U. Amaradasa stated that the 4th of December would be the closing date. The time period to place deposits for the presidential election commences tomorrow. Election Secretariat’s office said that deposits could be placed from tomorrow to 5th of December, between 8.30am and 4.15pm on working days. Deposits could also be made on the 7th of December from 8.30am to noon at the Elections Secretariat. While a candidate of an accepted political party should place a deposit worth 50,000 rupees, an independent candidate should deposit 75,000 rupees. 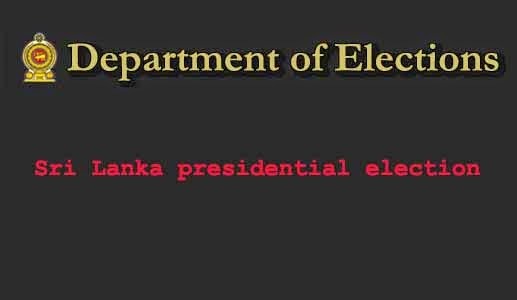 The nominations for the presidential elections will be called on the 8th of December from 9am to 11am at the Election Secretariat in Rajagiriya.